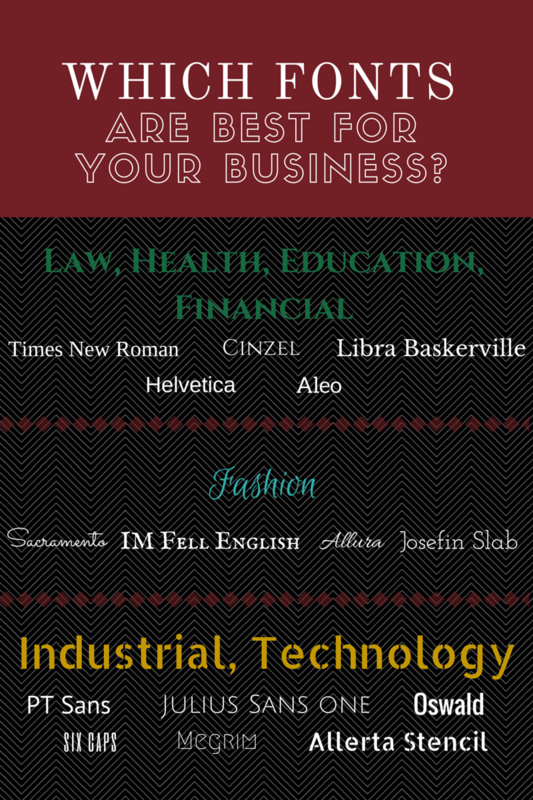 What is your font saying about you? Did you know there are over 100,000 fonts to choose from? There are more created all the time – so how do you choose a font that works best for your business? The font you choose for your signs will typically carry over into the rest of your branding – logos, newsletters, graphics, and so on. It’s going to deeply affect the way that people perceive your company. So how do you know you’ve made the right decision? Sometimes simple signage is the best. For professional establishments that warrant respect and prestige, classic and easy to read fonts are considered best. With so many environmental distractions around your building, choosing a simple font for your sign might even attract the most attention. Sans fonts are generally recommended for their clarity. Within the realm of Sans-type fonts there are seemingly endless choices that can reflect your desire to be industrial, LARGE, petite, playful, theatrical, professional or STRONG. If you are a fitness center and your font is petite, you need to rethink your choice. If you are a recreational facility you need to reflect playfulness. If your service is taxes you need to convey professionalism. Once you have settled on a legible font there are additional adjustments to be considered that can add to the effect such as embossed lettering creating a lifting effect. If you don’t like embossed, you could try shadowed which give lettering the illusion of a glow. Outlined fonts present each letter lined without a filling, or the ability to use a different color as an outline to accent each letter. Fonts can be tweaked even further by changing the kerning of the lettering, which means the spacing between letters is modified. The sample to the right demonstrates kerning and how it changes the look of the word. When all is said and done you need to view your sign from different perspectives and ask yourself “Is this font adding to the visual experience?” Your font will need to be balanced with the sign size contrasting background color and sign shape. A well designed sign crafted with font and colors that reflect your service or product will draw customers in.